Our aim is to provide a platform to promote employment opportunities and local business within local communities. Fox Taskers gives you a premium service based platform to get the job done at a fair price when you want it done. Fox Taskers aims to further these goals in gendering and nurturing the community spirit and ideals. Connecting Task requestors with a Tasker of their choice. Making the connection in a safe and secure manner. Specialists on hand to provide the ingredient you lack. People who would like to get involved but are blind to the opportunities that exist. Provide opportunities to those that have been shut out of the mainstream. Assisting students, handicapped, recovering offenders to get themselves into the flow.  Fox Taskers aims to generate and promote community based opportunities through the provision of local labour and materials. We will promote local merchants to provide the materials and tools required and encouraging the enhancements of skill sets through engagement, education and mentoring. We are community focussed and that means your local community. We encourage and promote the use of local talent and goods. We aim to build and bind local communities together. We create outlets for talented and creative spirits. We create financial opportunities for all. We provide a platform that can be trusted and relied on. We will educate users so they will know what to expect and give them realistic expectations when they post their requirements. We vet and use only the most reputable workers to provide the highest standards possible. We provide a single platform for you to get the job done from specialists, to tools and materials. All on Fox Tasker. Need someone to exercise your pet? Need maintenance on your home? Need help with IT related issues? Need help with assembling that new flat pack furniture? Many of these tasks might seem trivial to business but there are people who need help with these. There are also those larger tasks which need doing. Repair the roof, paint a wall, unblock the drains or gutters. Fix the garage door, fix the loose tiles, build a deck, fit rails in the bathroom, help plant the new trees or plants in the garden. Many of the tasks can also be done by the physically challenged - such as working a computer on your behalf, answering the phone at your work, conducting a marketing campaign. Having a handicap might be limiting but it in no ways means they are unable. Many have adapted and learnt skill sets we do not have such as jewellers, artists and the such like. If they have a wheelchair or mobility scooter they might enjoy walking your dog to the park and playing with them (and getting paid as well). We all have some task or the other that needs doing and normally they do not fit into those specialist, niche platforms. Fox Taskers provides a platform for those who need something done and allows members of the community to provide this service at a fair price. Many of the tasks can be performed by the unemployed or students looking for an additional revenue stream. These are the types of people we encourage first before the established service providers. You will have access to local goods and services. Should your immediate community be unable to assist then you can be assured that the Fox Taskers system will reach out further until you are satisfied. Post all your requirements in one place. Skilled taskers are there to meet your needs at a fair price. The Fox Taskers marketplace will meet all your requirement's in an easy to understand manner. Merchandising of goods, tools and services to meet your needs. Want to gift someone? Our prepaid coupons will provide that special gift at the best possible price. Want to help a family member who needs help but can’t afford it? Simple purchase a voucher and pay on their behalf. We encourage local events and participation in them. This is the spirit of Fox Taskers. 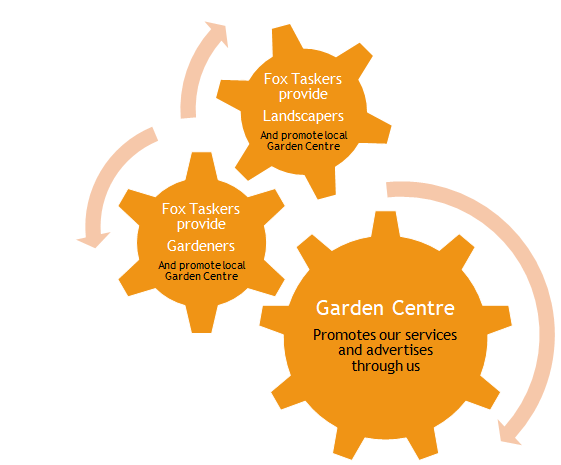 Fox Taskers will promote and support your local charities and organisations. •Post your request online and let Fox Taskers get to work for you. •The responses from our Fox Taskers will then be fed back to you with as much information as possible to enable you to make your choice. •You then chose the Fox Tasker that fits your requirements best and come to a fair and equitable price with them. •Job done, you sign off and make payment. •Record your experience in a constructive manner and enable others to make their choices with confidence. •The E-Commerce, Voucher and Coupon purchase sections will be available to all so as to provide a fully comprehensive platform. Register and provide details so we can tailor the system for you. Choose a commission structure that suits you or even select all to keep your options open. Requests from your local communities will then be sent you with as much information as possible to enable you to make your choice. Come to a fair and equitable price with the customer. Complete the task, get sign off and receive payment. Record your experience in a constructive manner and enable others to make their choices with confidence. 1. An E-Commerce section to promote local goods and crafts. 2. Advertising opportunities for locals to reach deeper into their respective target markets. 3. Our unique multimedia section will include educational videos and other media. It will also allow for users to publish their own content in sections such as “How To’s”. 4. Coupons for set services like MOT, cable installation, car service, etc. which will allow members to get their full discounted value. 5. Vouchers to help family or friends pay for service requirements or even to make a donation to the charity of their choice. 6. Negotiate discounts on goods or products that will uplift the community members – like education, training, mentoring, business requirements, etc. 7. A commission structure that is multi dimensional and not just flat based to assist Taskers to choose the one that suits them. 8. Our reward program to encourage Taskers to continue to work through the platform. These rewards will be things such as lower commission charges, discounts for goods purchased through us and cash back. 9. We encourage individuals and organisations to give back to our members through skills and educational enhancements, mentoring and other discounted offerings. This will only be available exclusively to our members who have proven their loyalty and dedication to our platform and will form part of the reward program. As a comprehensive platform, we provide a full all-round service to and through the communities we operate in, using an integrated approach. We have adopted the best practises from the most successful sites in the world and added in the Fox Taskers spirit and commitment. Assists and supports their efforts to improve education and skills wherever practically possible through the power of our association with such organisations. Provides support to those Taskers who have limited capital to provide goods and materials. Thank you for taking the time to be with us, we look forward to providing your community with the best possible service, we just need your help us to raise the funds we need to get out there and start making a difference.